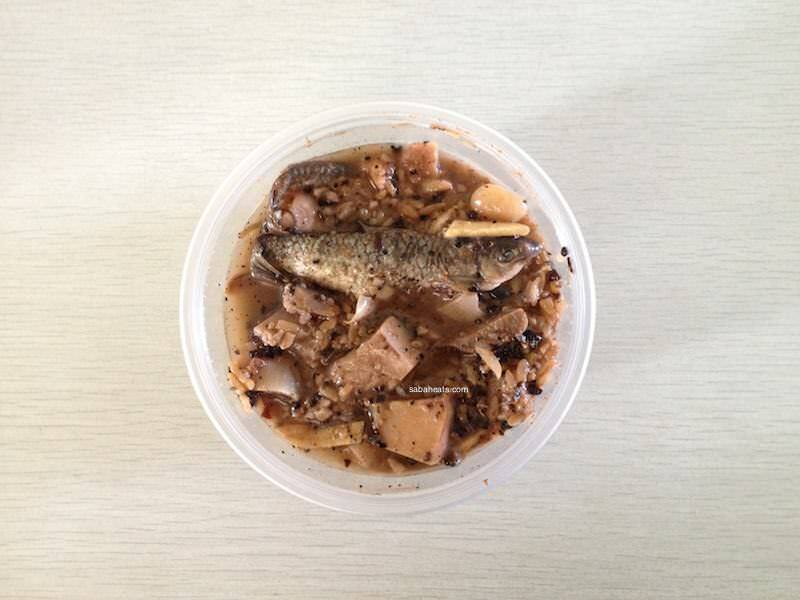 Nonsom is made by using fermented fresh water fish, salt rice, and Pangi fruits. Freshwater fish after fermented will taste like cheesy and the taste is provided by the pangi fruits which are readily available around Sabah. Best serve with white rice. 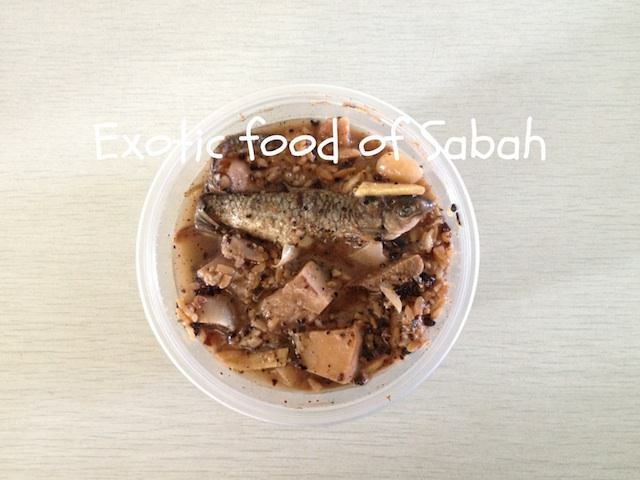 Nonsom is a favorite for Kadazandusun-Murut tribe of Sabah. 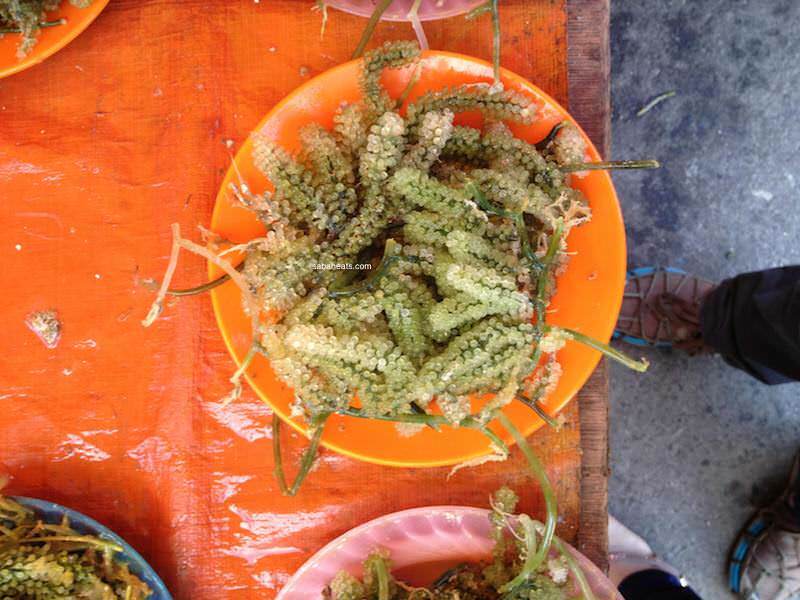 Latok is a type of seaweed found in Sabah and Philippines. The locals love it as it full of nutrients and tasty. The “grapes” pop inside your mouth when eating it and some even call it as green cavies. There are many ways to eat it. You can mix with tuna flakes, add chopped onion to combine. and dress them up with lime juice and chilies or eat it with belacan and chili. Latok can be found at Sinsuran Night market and you have to clean it properly before eating as it’s very salty. Made from Glutinous Rice, yeast and sugar. The rice is then let to Ferment for 2-4 days and wrapped with tea leaves. The taste it sour sweet and can be eaten any time of the day and it does not make you drunk. 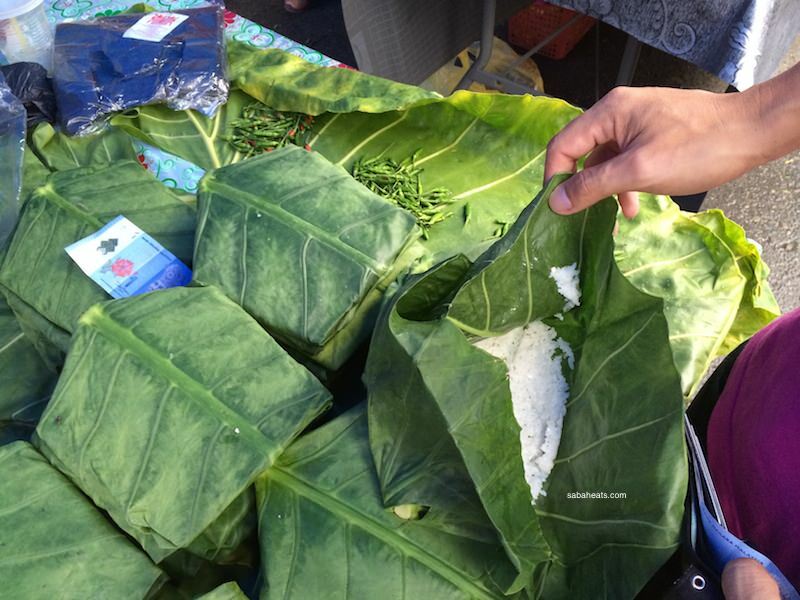 Tapai rice can be found at Tamu or night market as it is popular among the locals.